Palladium manufactures aircraft tires to support the needs of the growing aviation industry. By layering canvas bands under vulcanized rubber tires, Palladium introduces a next-level technology that positions the brand as the largest aircraft tire supplier in Europe. As World War II ends and the demand for aircraft tires decreases, Palladium uses its canvas and rubber resources to open its first footwear factory in Pont-de-Chéruy, France. 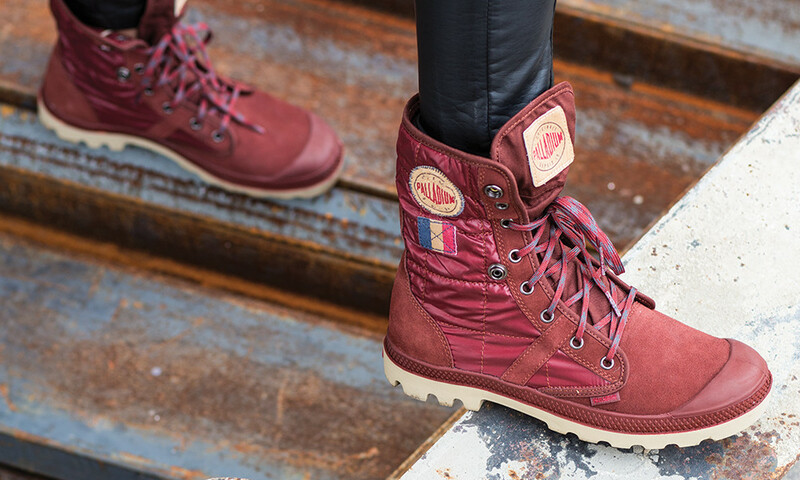 Palladium used their expertise to make boots that were as hard wearing as their tires. The boots were so comfortable and durable that they were adopted by the legendary French Foreign Legion. Palladium is widely adopted by explorers in Europe as the footwear of choice for extreme conditions. French volcanologist and geologist Haroun Tazieff even wore them throughout his volcanic expeditions! 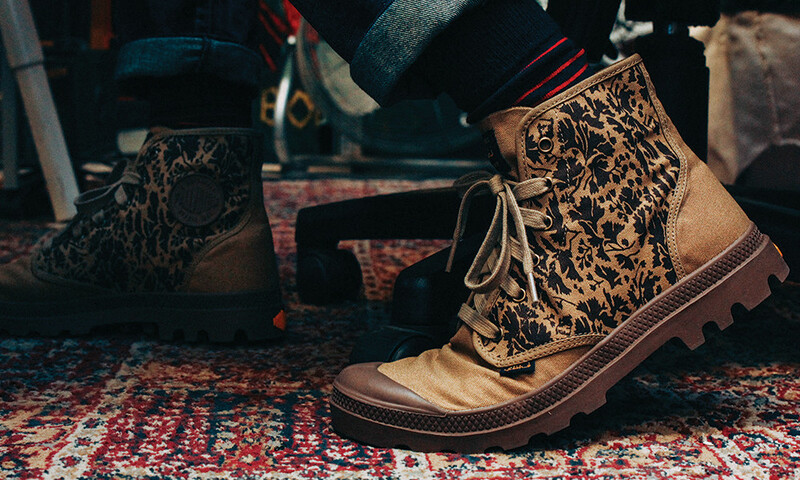 Discovered by the grunge and rave scenes, the iconic Pampa boot becomes a fashionable look on a global scale. 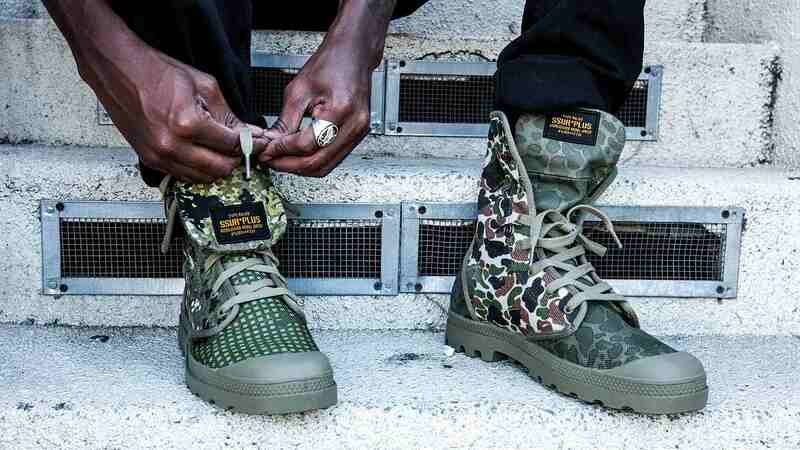 Palladium sells over one million pairs of boots in a year. 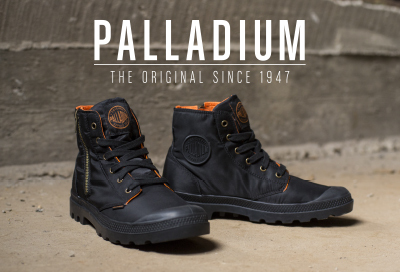 After a brief hiatus, Palladium re-launches with an urban explorer ethos and modernized construction techniques. The updated manufacturing process enables the brand to develop boots using modern fabrics and materials building a new line of boots for modern day explorers.